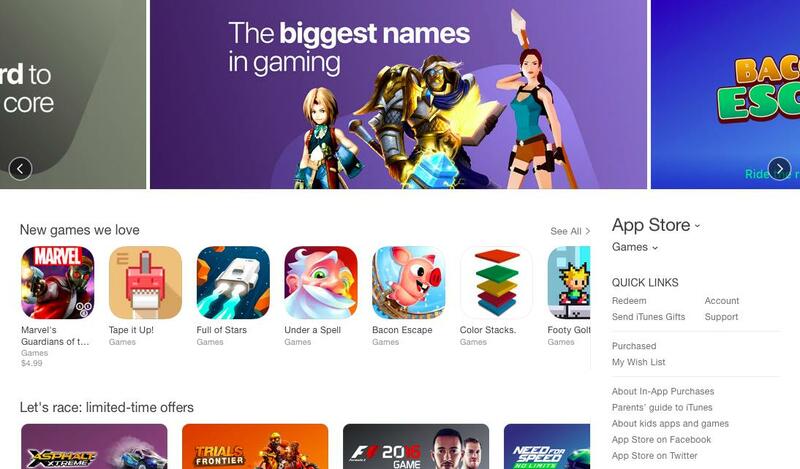 Creating an app for the Apple App Store or Google Play Store is no small feat. But when an app is ready to deploy, you need to incorporate a mobile marketing strategy that will increase your new app’s visibility. According to the latest comScore findings, users on Android platforms outrank iOS users by 53.3 percent to 44.6 percent accordingly. With the ever-growing number of users on smartphone devices, it means one thing – the app stores are thriving with millions of apps and potential users to market to. To ensure that your app becomes a hit in the store, you need a marketing strategy that will make your app stand out against competitors. The best way to market your app and fully optimize your app listing is by using App Store Optimization (ASO). While you can dive into making an app listing, it is advised to take the time and evaluate your current app before doing so. If you have already launched your app, look at how it ranks in the store and compare your rankings to your competitors’. Understanding your current rank will help you develop a bullet-proof ASO strategy that improves your app’s metadata to help your app become more visible to users. Before you start improving your metadata, take note of how each store indexes apps. While Google and Apple keep their ranking algorithms a secret, there is still a good amount of information available to help you get started. One thing to note specifically about the Google Play Store is the way it indexes similarly to SEO. Essentially, Google crawls your app listing to rank your app’s metadata for relevant terms. If your app is not relevant to the user’s search query, your app will not appear for that search. Regardless of which store you are deploying in, your app’s ranking is based off its metadata, including title, short description (Google Play only), long description and screenshots. For your app to rank well, you need to focus and highlight your keywords throughout your app’s metadata. How do users search in the app stores? They tend to search in 2-3 word short phrases, and those terms will help your app’s conversion in the long run. By carefully choosing keywords that are relevant and unique to your app, you will draw the attention of your audience and eventually convince them to convert. Apps only become relevant for keywords through user searches. If your app is a mobile game, then you need to hone in on keywords that address your gameplay or features. If “bingo” is a high-volume keyword, you need to research your competitors and see how they rank to understand if it will be high-volume for you too. Similarly, if your app is a shopping app, focus on keywords that address products or discounts to attract more users. You need research current user trends and behavior to determine what words and terms are relevant and unique to your app. Good keywords should be unique and target your audience, and if done correctly, will create the most relevance throughout user searches. It’s imperative to target your audience and with keywords throughout your app’s title, short description and long description to create visibility in the App Store and Google Play Store. But what makes a good keyword? Using an app store intelligence tool such as DATACUBE, you’d be able to see which search queries are trending for any app. These are the keywords you should be paying attention to: By including these terms in your app’s metadata, you increase your chance of ranking for these terms, giving the app the eyes and downloads it needs. Choosing keywords is just the start of the ASO process. There are still more improvements you can make to the rest of your app’s metadata. There are simple steps that you can take to become more visible in both app stores, and each step is essential when it comes to converting users. Your app’s title carries a lot of weight in indexation and conversion. If keywords are chosen based off user trends and behavior, it will help boost your relevancy for specific words and terms that users tend to search with. Pay attention to the title length, however, because both stores have different character limits. Google Play only allows 30 characters while Apple gives developers only a little more freedom with a limit of 50 characters. Engage your audience by including core features of your app in the title to make it more interesting to users. While both stores use long descriptions, Google has two separate fields available for the developer to describe an app: Short Description and Long Description. Both descriptions are used to determine what your app can rank for. The short description can only be 80 characters long, which limits what a developer can say to describe their app. This is the first line of text your audience will read: Highlight the app’s core features and any promotional events you may have. The long description for both Apple and Google Play gives developers 4000 characters to cover relevant keywords and phrases to fully optimize the app. The description should be considered as a selling point to entice users to convert and download an app while being easy to read. If the description is feature-forward, it explains how your target audience can use the app. With specific feature sets that address gameplay or features that interest your audience, it’s possible to attract more users. Naturally emphasize your app’s core features with relevant keywords. And create shorter sentences and paragraphs to quickly attract the audience’s attention. Unlike your app’s title and description which tell users what they can do on your app. The screenshots and video will visually show users the core features. Your screenshots need to be visually appealing while also showing users what they can do on the app. Keywords are just as important in screenshots and help to convert users. You should avoid cluttered screenshots and use high-volume keywords that emphasize the app’s core features. The preview video takes the place of a screenshot and shows your app in action. Apple has strict guidelines that developers must follow to avoid rejection. One of the guidelines that is commonly missed is showing the real-world usage of the app. The only guideline Google enforces is the length of your preview video. It can be between 30 seconds and 2 minutes. Other than that, your demo or promo video doesn’t necessarily have to express your app’s core features. They should be used as another opportunity to get positive reviews to improve your conversion rates. If you are unsure of what screenshots or titles work best for your app. You can always conduct tests or experiments to see what engages better with users. Through the Google Play Developer Console, you can run A/B tests, which will compare how different variations perform. For the App Store, you can conduct focus groups. They compare app titles, screenshots or icons and compile the information so which variation will improve your app’s conversion. Regardless of which app store your app is deploying in, or even if you are looking to improve your app’s ranking, you need to incorporate a bullet-proof ASO strategy to fully optimize your app, create visibility and drive conversion. Research how your app indexes in the stores before choosing keywords. Developers that have used an ASO strategy have seen improvements to their app’s conversion and ranking. Other mobile developers should take advantage of the tools available and make improvements where necessary to become more discoverable in both the Apple App Store and the Google Play Store. Dave Bell is the Co-Founder and Chief Executive Officer of Gummicube. In this role, Dave is responsible for overseeing the business strategy for the company, driving growth and market development. Dave is a pioneer of the mobile entertainment industry. He has more than 15 years of experience publishing, marketing and distributing mobile applications and games across carrier, direct to consumer and app store channels.